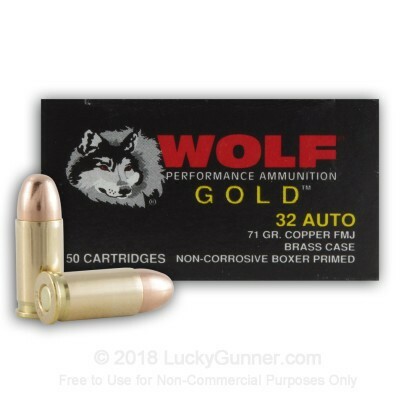 Wolf's Gold line of ammo utilizes brass cases, copper jacketed lead core bullets, and it's designed for reliable functioning and performance! This 32 Auto ammo is perfect for range training and target practice with your concealed carry pistol. This ammunition is brass-cased, boxer-primed, non-corrosive, and reloadable. This ammunition is manufactured in Serbia. 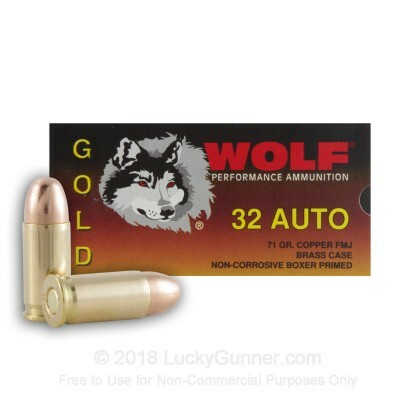 We don't have any reviews yet for this particular .32 Auto (ACP) ammo from Wolf. 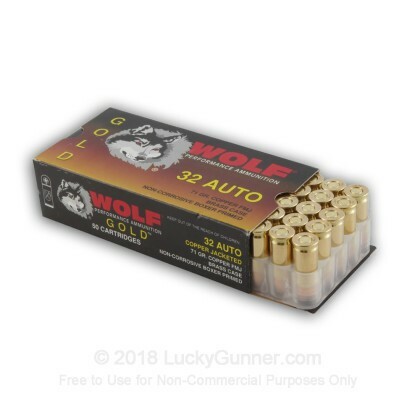 If you'd like to be the first to review this particular .32 Auto (ACP) ammo from Wolf, fill out the form below.